Reduction of the HP Indigo carbon footprint. Deinking, or removing ink from paper fibres, is one of the key steps in the paper recycling process for manufacturing recycled Graphic Arts papers. Over the last few years, HP has been collaborating with a range of industry and academic deinking experts to gather lab-scale, pilot-scale and mill-scale deinking data that verify HP Indigo prints can be deinked in a typical graphic art paper deinking mill configuration. In June 2013, Voith Paper, a leading supplier of deinking equipment, and the Paper Technology Department of PMV Darmstadt, a leading German technical institute, conducted two pilot-scale trials with five per cent and 10 per cent HP Indigo feed. The research, said HP, found that even with 10 per cent HP Indigo feed, the pulp produced in the trials was suitable for standard and higher quality Graphic Arts recycled paper grades. The trials were held at the Voith Paper Fiber Systems Technology Centre in Ravensburg, Germany for its near-mill-scale equipment, creating a realistic simulation of a standard graphic art deinking mill, including drum pulping, two flotation’s and one disperger. An important feature of the trial was that disperger energy typical of industry mills was used. A detailed report from the pilot trial will be published in the near future. "These pilot plant trials have convincingly demonstrated the deinking ability of HP Indigo prints using standard 2-loop deinking processes," said Jürgen Dockal, product development engineer, Voith Paper Ravensburg Fiber Systems Technology Center. "Proven equipment and standard deinking chemistry can be used, and parameters such as brightness development, ash content and yield are unaffected by the presence of up to 10 per cent Liquid ElectroPhotographic prints." PMV-Darmstadt has made significant progress in developing a lab scale 2-loop test that correlates with the Voith Paper pilot trial. These results complement two previous full-scale mill deinking trials, which were conducted in collaboration with Arjowiggins Graphic at its 3-loop Greenfield deinking mill in Chateau-Thierry, France in November 2011 and October 2012. In the mill-scale trials, five per cent HP Indigo Liquid ElectroPhotographic prints (LEP) were added to the standard mill furnish. In both cases, high-quality deinked pulp was produced without affecting mill process efficiencies or operating parameters. "The results of the pilot-scale trials show that printed paper from HP Indigo digital presses is compatible with typical graphic arts deinking mills even at levels higher than what likely would be encountered," said Yogev Barak, director of current business management, Indigo division, HP. "Along with results from the Arjowiggins deinking mill trials, these latest results show that HP Indigo users can continue to feel confident that HP Indigo prints can be recycled back to high-quality graphic arts papers." 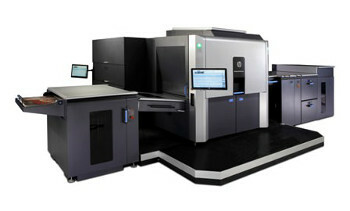 A further move by HP to highlight its ongoing commitment to environmental sustainability was the introduction of HP Indigo improved ink cartridge packaging for the HP Indigo 6000 and 7000 series Digital Presses. The new cushioning tray is made of 100 per cent recycled, moulded pulp and is 100 per cent recyclable. Users can now dispose the cushioning tray with the ink cartridge's cardboard box. HP also offers free take-back services for HP Indigo supplies for customers in more than 17 countries around the world. The programme is now expanded to include series four binary ink developer (BID) base and BID roller used in the HP Indigo 10000, 20000 and 30000 Digital Presses. HP added that it continues its programme to offset carbon emissions associated with the manufacturing and integration of the new generation HP Indigo Digital Presses. Working with the Good Energy Initiative, HP Indigo supports projects in the community that offset the net contribution of carbon emissions from the manufacturing process. As a result, HP maintains all Indigo series three presses are manufactured carbon neutral.